Melbourne is known for museums, parks, shopping, zoos & aquariums, and nightlife. 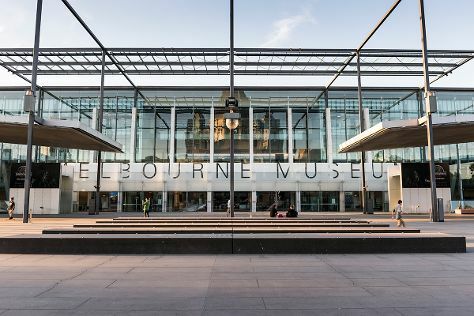 Your plan includes some of its best attractions: take in nature's colorful creations at Royal Botanic Gardens, see the interesting displays at Melbourne Museum, steep yourself in history at Old Melbourne Gaol, and admire the striking features of Shrine of Remembrance. For maps, more things to do, reviews, and other tourist information, use the Melbourne trip itinerary maker site . Adelaide to Melbourne is an approximately 3.5-hour flight. You can also drive; or take a train. In June, daily temperatures in Melbourne can reach 16°C, while at night they dip to 6°C. Cap off your sightseeing on the 29th (Fri) early enough to travel to Canberra. Explore hidden gems such as Questacon and National Portrait Gallery. 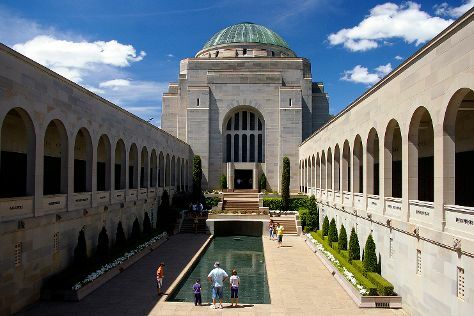 Next up on the itinerary: admire the masterpieces at National Gallery of Australia, get engrossed in the history at Australian War Memorial, get a sense of history and politics at Royal Australian Mint, and take in panoramic vistas at Telstra Tower. Plan a trip to Canberra easily and quickly by telling Inspirock to suggest an itinerary. You can fly from Melbourne to Canberra in 4 hours. Alternatively, you can drive; or take a bus. Traveling from Melbourne in June, Canberra is slightly colder at night with lows of 0°C. Cap off your sightseeing on the 2nd (Mon) early enough to go by car to Sydney. Sydney is known for nightlife, trails, beaches, parks, and museums. 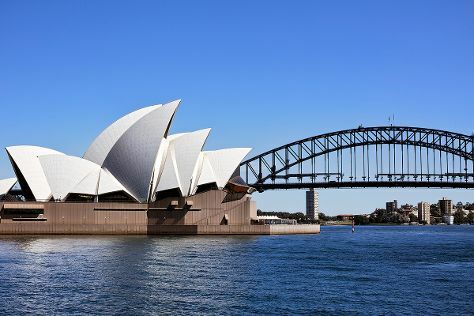 Your plan includes some of its best attractions: catch a live performance at Sydney Opera House, stroll through Bondi to Coogee Beach Coastal Walk, don't miss a visit to Sydney Harbour Bridge, and kick back and relax at Manly Beach. For photos, where to stay, more things to do, and more tourist information, read our Sydney online vacation planner . Traveling by car from Canberra to Sydney takes 3.5 hours. Alternatively, you can take a bus; or fly. Plan for a bit warmer temperatures traveling from Canberra in July, with highs in Sydney at 21°C and lows at 9°C. Cap off your sightseeing on the 5th (Thu) early enough to travel to Airlie Beach. Kick off your visit on the 6th (Fri): take a memorable tour with Tours, then kick back and relax at Airlie Beach Lagoon, and then explore the activities along Heart Reef. Get ready for a full day of sightseeing on the 7th (Sat): soothe aching muscles at some of the top local wellness centers, then take in the pleasant sights at Bicentennial Walkway, then trek along Whitsunday Great Walk, and finally head off the coast to Whitsunday Islands. For photos, other places to visit, ratings, and other tourist information, refer to the Airlie Beach trip site . Traveling by combination of flight and bus from Sydney to Airlie Beach takes 6 hours. Alternatively, you can do a combination of flight and ferry; or drive. Traveling from Sydney in July, you can expect nighttime temperatures to be somewhat warmer in Airlie Beach, with lows of 20°C. Wrap up your sightseeing on the 7th (Sat) to allow time to travel to Cairns. Discover out-of-the-way places like Wildlife Habitat Port Douglas and Palm Cove Beach. Spend the 9th (Mon) among aquatic life with a scuba or snorkeling tour. There's lots more to do: take in nature's colorful creations at Botanical Gardens, enjoy unforgettable views with a balloon tour, see the world from above with a helicopter tour, and get interesting insight from Shaolin Junk Cruises. For reviews, where to stay, ratings, and other tourist information, use the Cairns vacation planning website . You can do a combination of ferry and flight from Airlie Beach to Cairns in 3.5 hours. Other options are to do a combination of bus and flight; or drive. When traveling from Airlie Beach in July, plan for somewhat warmer days in Cairns, with highs around 30°C, while nights are about the same with lows around 20°C. Finish your sightseeing early on the 10th (Tue) to allow enough time to travel to Alice Springs. 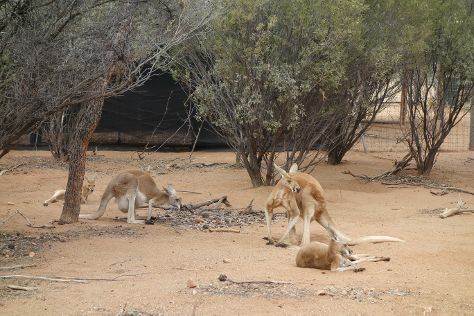 Start off your visit on the 11th (Wed): get great views at Anzac Hill, steep yourself in history at Alice Springs Telegraph Station Historical Reserve, then admire the verdant scenery at Rainbow Valley Conservation Reserve, and finally look for all kinds of wild species at Alice Springs Desert Park. Get ready for a full day of sightseeing on the 12th (Thu): look for all kinds of wild species at Alice Springs Reptile Centre, then head outdoors with Alice Springs Aquatic and Leisure Centre, and then get outside with Simpsons Gap. To see reviews, more things to do, where to stay, and tourist information, refer to the Alice Springs itinerary builder website . Fly from Cairns to Alice Springs in 3.5 hours. Alternatively, you can drive; or take a bus. Traveling from Cairns in July, expect nights in Alice Springs to be colder, around 3°C, while days are a bit cooler, around 24°C. Cap off your sightseeing on the 12th (Thu) early enough to travel to Harvey. Harvey is a town located in the South West of Western Australia along the South Western Highway, 140 km south of Perth, between Pinjarra and Bunbury. Kick off your visit on the 13th (Fri): steep yourself in history at Stirling Cottage, steep yourself in history at Harvey Internment Camp Memorial Shrine, then do a tasting at Vineyard 28, and finally tee off at Harvey Golf Club. For other places to visit, where to stay, more things to do, and more tourist information, go to the Harvey online day trip planner . The Route module can help you plan travel from Alice Springs to Harvey. The time zone difference when traveling from Alice Springs to Harvey is minus 1 hour. Finish your sightseeing early on the 13th (Fri) to allow enough time to travel to Perth. 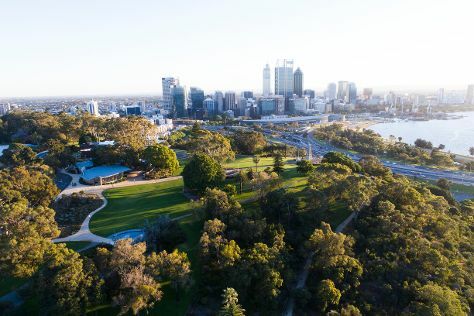 Kick off your visit on the 14th (Sat): contemplate the long history of The Perth Mint, then contemplate the waterfront views at Swan River, then pause for some photo ops at Kings Park War Memorial, and finally take in nature's colorful creations at Kings Park & Botanic Garden. 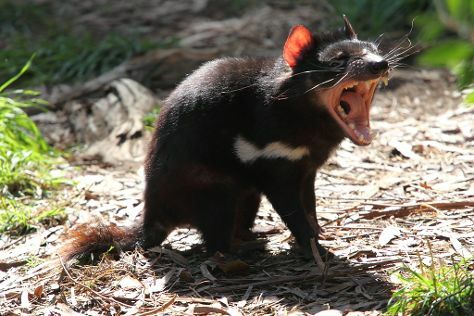 On the 15th (Sun), you'll have a packed day of sightseeing: hunt for treasures at Fremantle Markets, enjoy the sand and surf at Cottesloe Beach, and then look for all kinds of wild species at Caversham Wildlife Park. To see other places to visit, reviews, and more tourist information, read our Perth online trip maker . Traveling by car from Harvey to Perth takes 1.5 hours. In July, plan for daily highs up to 21°C, and evening lows to 8°C. Wrap up your sightseeing on the 15th (Sun) to allow time to travel to Adelaide. You'll discover tucked-away gems like Adelaide Central Market and Adelaide Zoo. You'll find plenty of places to visit near Adelaide: Victor Harbor (Kaiki Walk - Granite Island, Granite Island, & more). Next up on the itinerary: see where the action happens at Adelaide Oval, perfect your strike at Kingpin Bowling, admire the masterpieces at Art Gallery of South Australia, and learn more about the world around you at South Australian Museum. To see photos, where to stay, reviews, and tourist information, refer to the Adelaide sightseeing planning tool . Traveling by flight from Perth to Adelaide takes 5 hours. Alternatively, you can drive; or take a train. Due to the time zone difference, you'll lose 1 hour traveling from Perth to Adelaide. Traveling from Perth in July, expect nights in Adelaide to be about the same, around 8°C, while days are little chillier, around 17°C. Cap off your sightseeing on the 18th (Wed) early enough to travel back home.